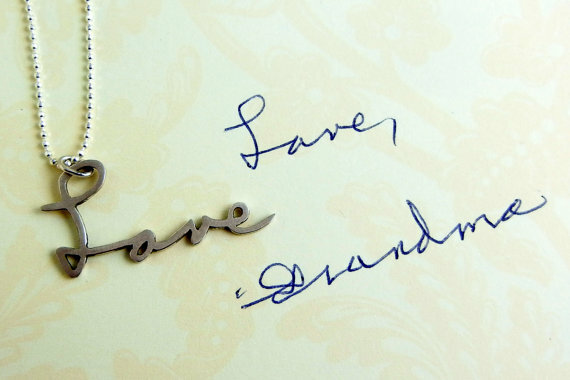 The Personalized Handwriting Necklace is a lovely gift for the young adult who may need a bit of family (mother, father, grandmother) close to her heart as she heads off to college. 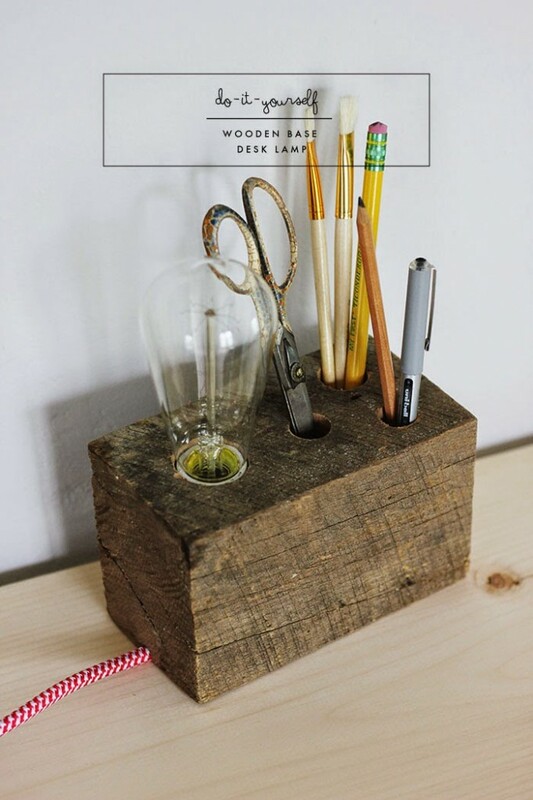 For the craftsman in the family, send a student off with this do-it-yourself wooden base desk lamp, thanks to the minds behind Poppy Talk. It’s handsome, functional and handmade with love. 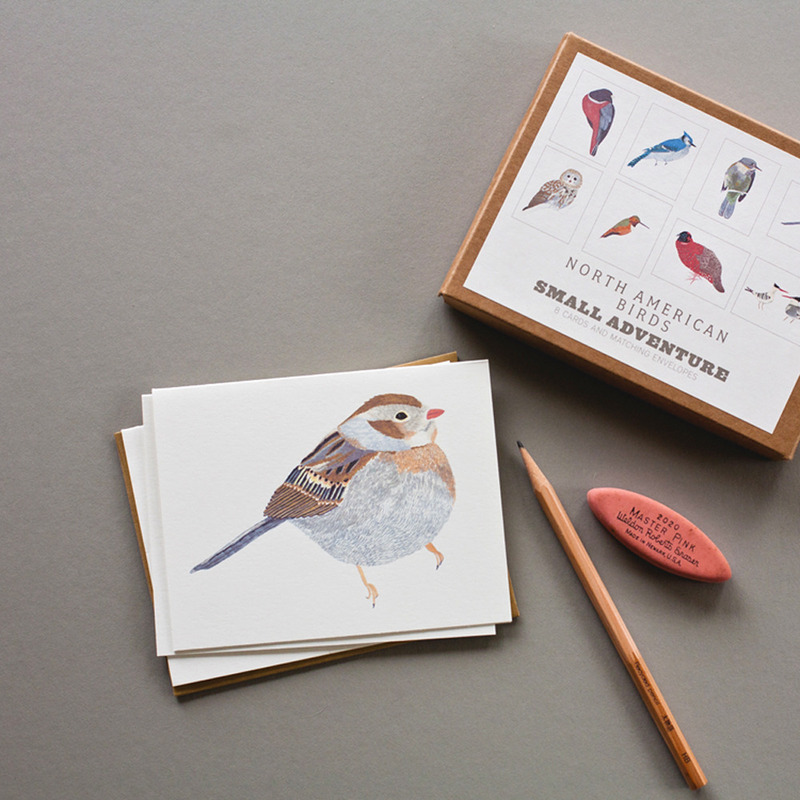 Also ideal size for the dorm room desk (Make sure to include of few of these below!). Of course, no Graduate should leave for college without a collection of fine pens or pencils…. 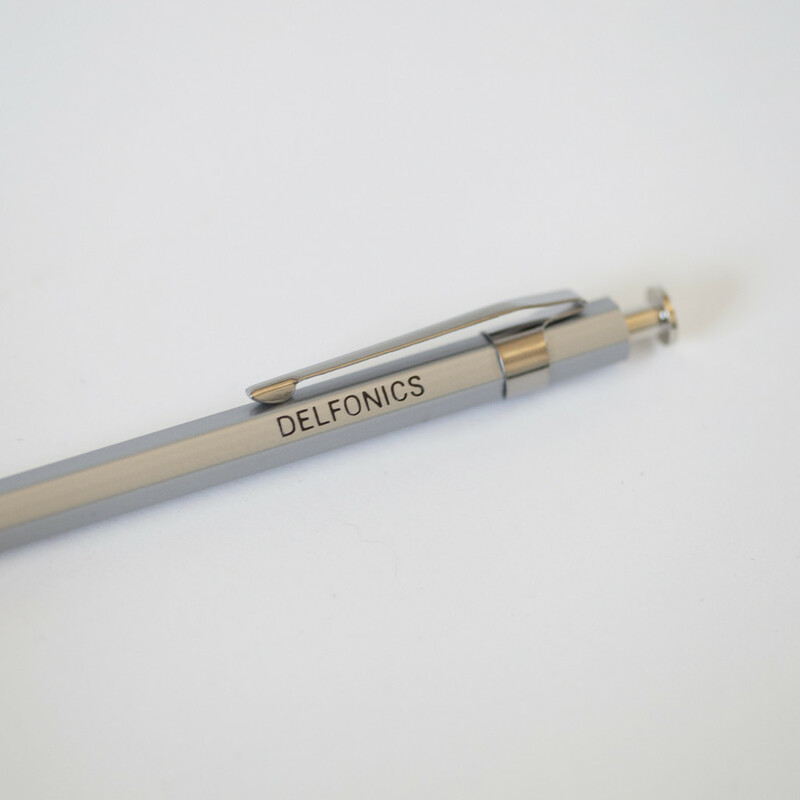 The Delfonic pen and pencil selection is perfect for both College Freshmen and Freshwomen who’d like to appear both smart and hip even if they are writing vs. typing. 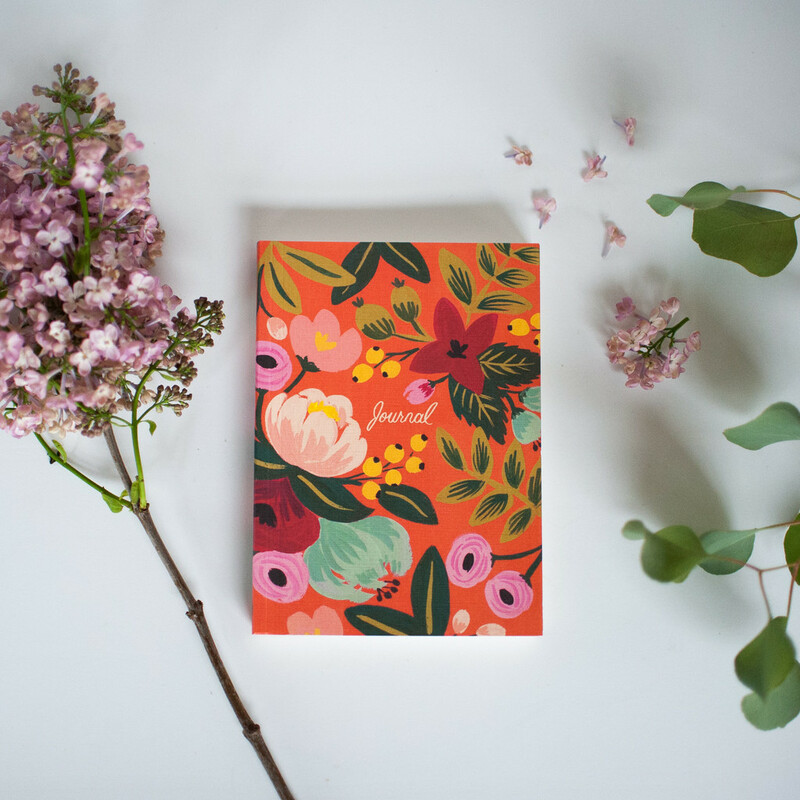 A writing journal is a beautiful gift for a Graduate. 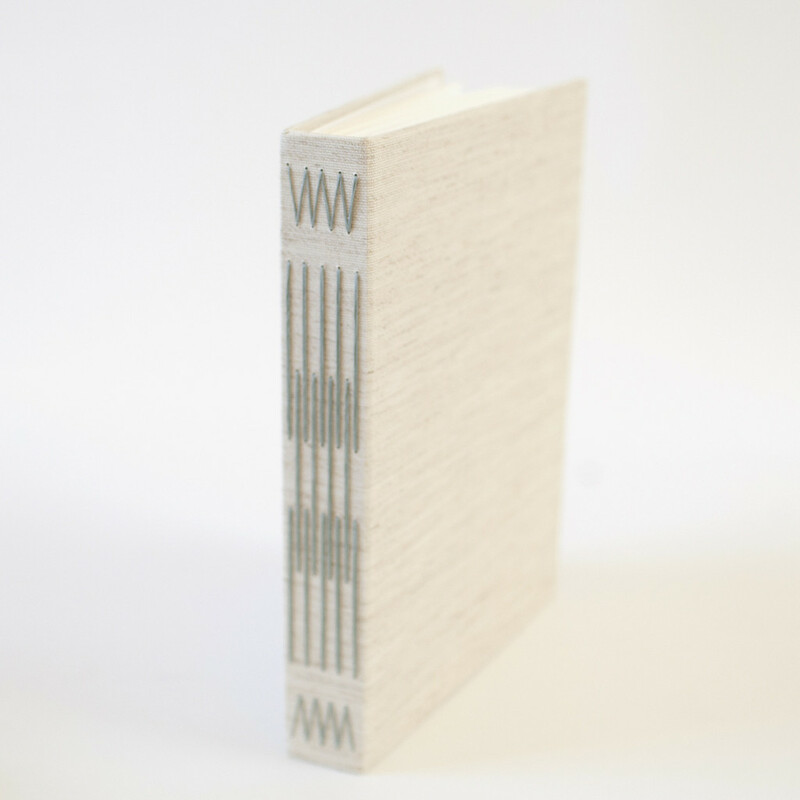 They might be even more likely to download the numerous changes in their new lives’ with this proper and stylish journal by their side. 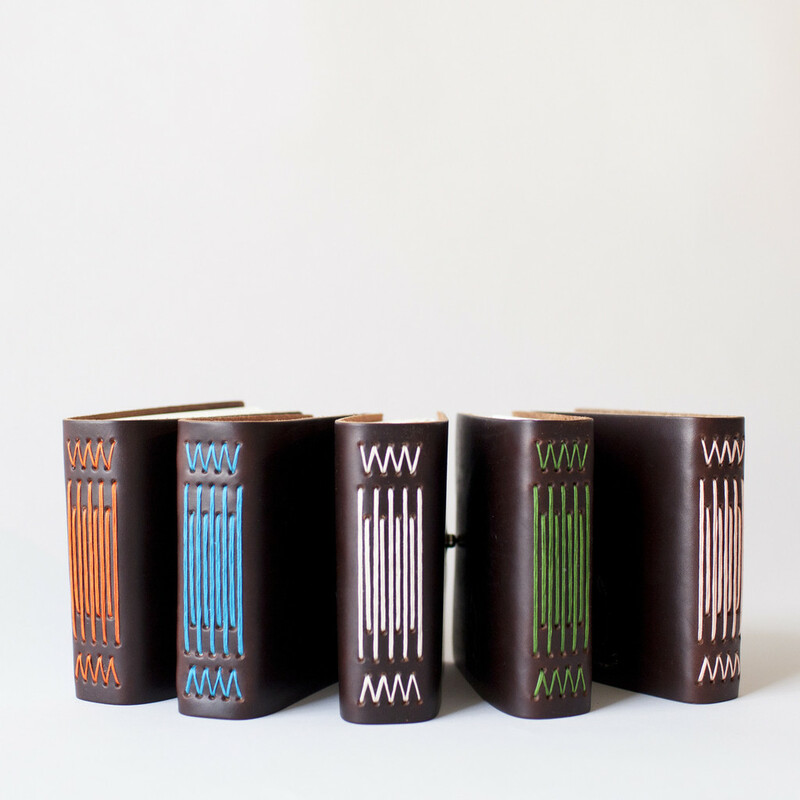 Leather Journals made by Twigg’s Bindery are simply stunning, a keeper for lifetime. Or a larger, Fabric Journal can hold concert stubs, airline tickets and other memorabilia (as a side note, Jonna Twigg just won Best New Product Award for this Fabric Journal at the Stationery Show!). 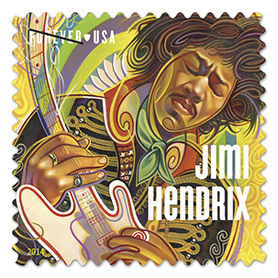 There may be a greater chance you’ll hear a few snippets of your child’s life if you send them off with stationery they will actually enjoy using like this Road Trip set from Scouts Honor Co.
And include a dozen stamps while you’re at it (what 18 year-old doesn’t love a little Jimi Hendrix?). 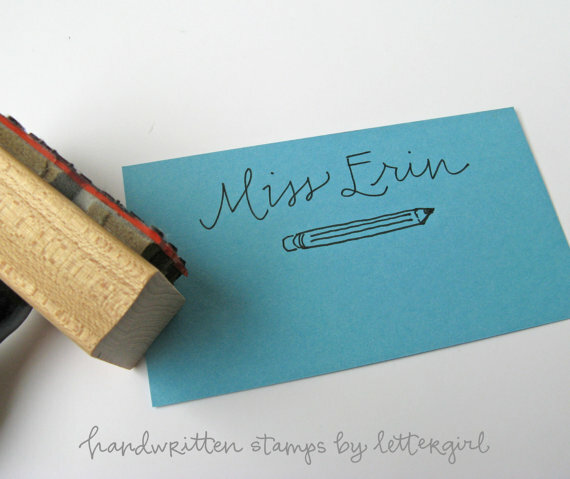 Handwritten Teacher Name Stamp created by St.Paulite letter girl will be well loved and used. 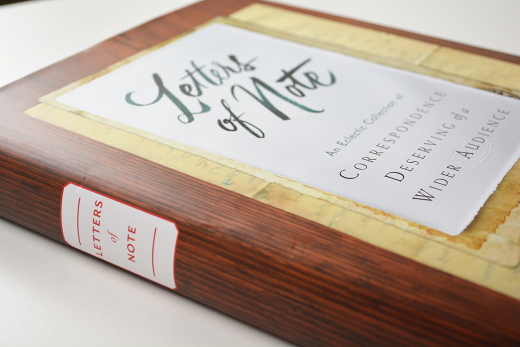 For the teacher who appreciates a handwritten letter, the recently released Letters of Note would be a beautiful summer read, filled with extraordinary letters which will fill their soul. For Teachers with more freedom in the Summer, a Journal can be a needed creative outlet. Gabrielle from Design Mom came up with these beautiful DIY painted pencil boxes. A great project with a child over the weekend. Add in a few pencils and note from their student, and you’ll find yourself a happy, full-hearted Teacher. …to the traveler from Ferme A Papier and Dear Hancock. Gifts are always lovely but, from what I’ve been told, a written letter from a student is the best gift a Teacher could ask for on any day. Of course, a few handfuls of these sparkles from The Great Lakes Goods never hurts! Let’s CELEBRATE these accomplished individuals, the Graduates and Teachers who have made us proud. The other day while cleaning out Emmett’s backpack, (our 2nd grader), my mouth dropped. I was unexpectedly holding a worksheet for students to trace and then write a letter “B” in cursive!! This was too good to be true. I know the Minneapolis Public Schools system no longer teaches cursive, choosing instead to spend time studying for standardized tests among other reasons, so I was (pleasantly) surprised by the find. After asking Emmett and his teacher, Mr. Janssen, why Emmett had been practicing cursive, I learned it was an extra bit of work the students could select during their free time. Although his teacher feels strongly about the importance of handwriting, he must use his class time for other school district requirements. 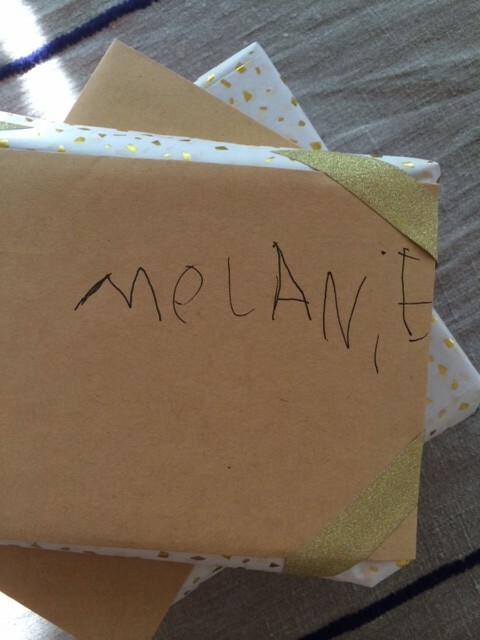 I was taught cursive in 3rd grade soon after D’Nealian was introduced in 2nd grade. Through the years my handwriting took the form of half-cursive, half-block writing. Surprisingly, the cursive has returned. Although I can’t say the same for my two closest friends from grade school. Both Kari and Theresa were taught cursive in the same fashion but have printed for as long as I can remember (and adoringly, their writing has barely changed!). I generally like the look of my writing and it’s become clear over the years that my cursive is here to stay. Not only does it hold a unique form but it’s by far faster to use cursive versus block writing especially when it comes to writing page after page while journaling. Awhile ago I caught a great story on the Today Show (patience with the 30 sec add, it’s worth the wait!) asking the question; are computers really fazing out penmanship? There are two clear sides to the battle; those who believe learning cursive takes time away from other subjects pitted against others who look at the values it brings to a student. 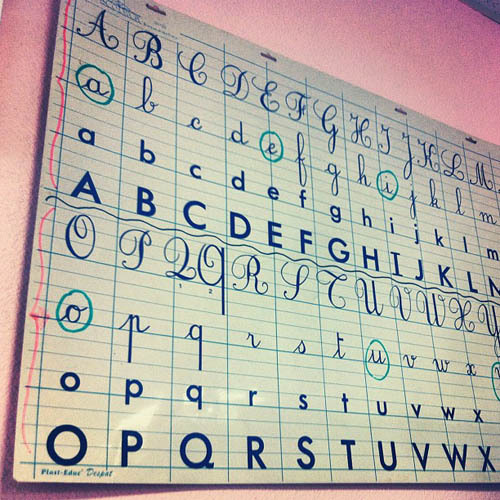 Today in 44 states teaching cursive is optional, and in Hawaii and Indiana cursive is no longer in the curriculum. Which means as a school and a teacher and a parent we need to fight the good cursive fight. 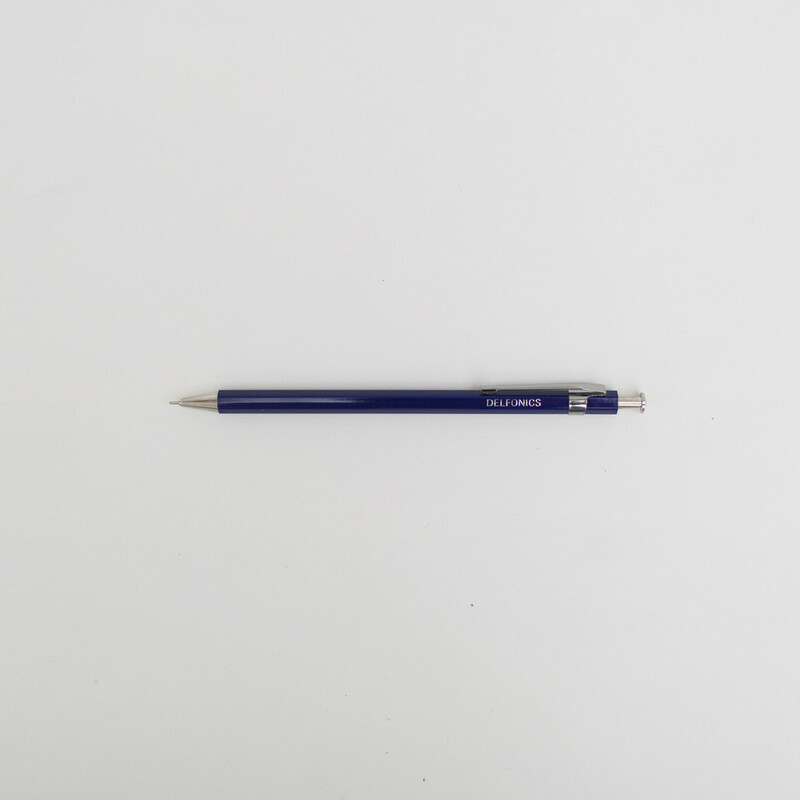 The Oxford Dictionary’s definition of cursive is “any style of handwriting that is designed for writing notes and letters quickly by hand” and “many or all letters in a word are connected.” There you have it – Cursive is meant to save us time. I should share this with Emmett. He’s all about how fast can he get through his work! Maybe cursive is his answer. Stay tuned this summer as I remind you all of the benefits of handwriting, both print and cursive. P.S. 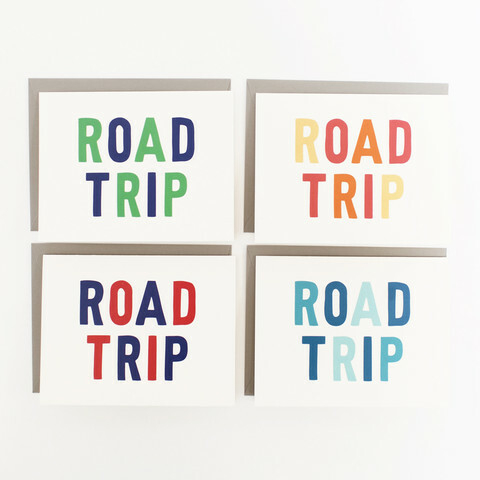 I’m headed to the National Stationery Show tomorrow to find more paper goods for the shop! Be sure to follow my adventures on Instagram – Lots to discover at the Javits Cetner. Calling all husbands, children and grandchildren in need of a quick fix for Mother’s Day. I have you covered. 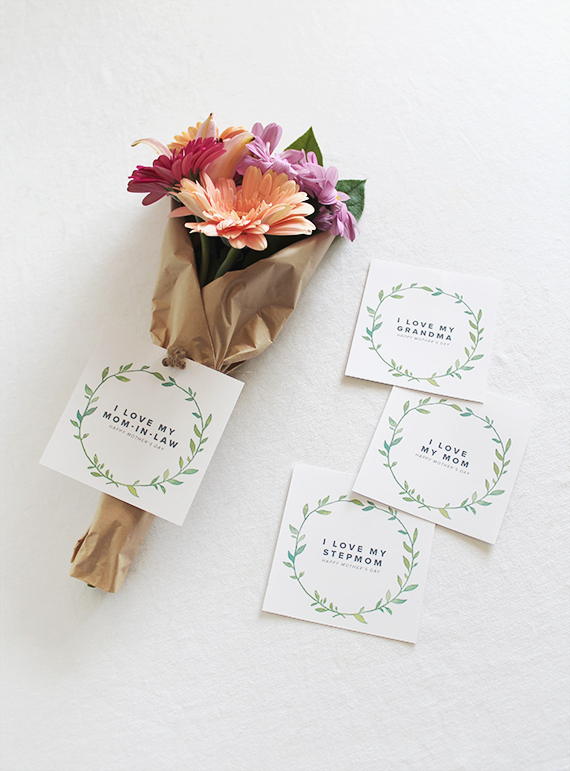 Stop at your local grocery store or flower shop and attach this simple yet lovely styled gift card to a bouquet of greens, ideal for all different women in Mother roles. 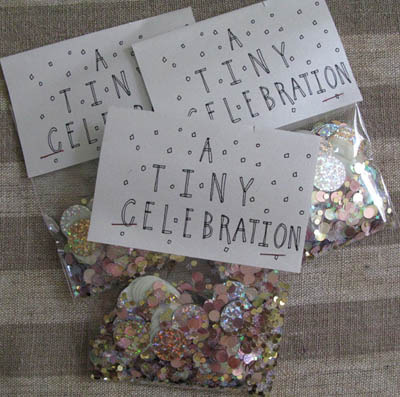 This card is also the perfect size for children or adults who like to use few but powerful words when praising the Mother figure in their lives. 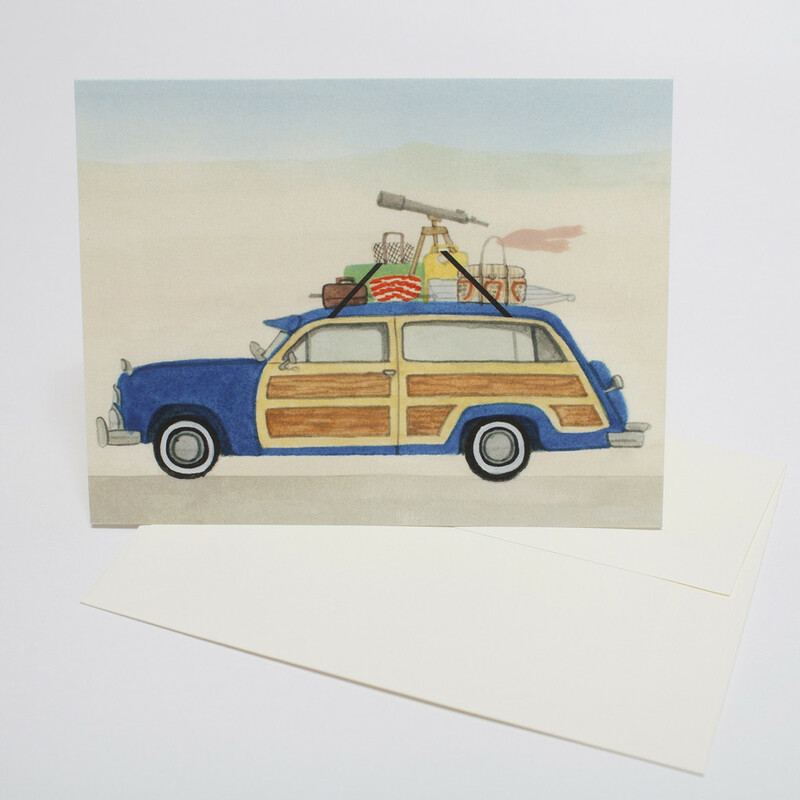 Find the gift tags here at Almost Makes Perfect, and all you need to do is print for free! Of course, the final and most important part is adding a few meaningful thoughts. Happy Mother’s Day to all you incredible women in the world. 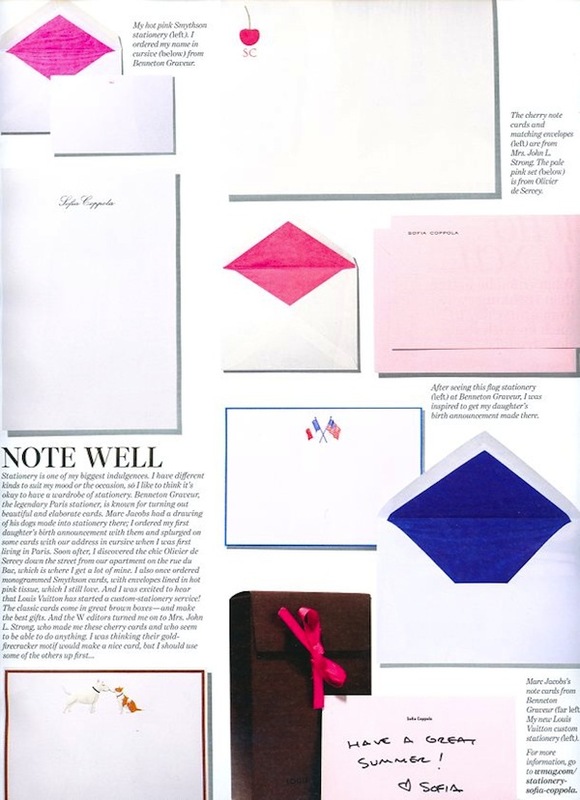 …to an April article in the Fashion & Style section of the Sunday Times stating that the Thank-You Note is making a comeback, is this latest writing trend here to stay? 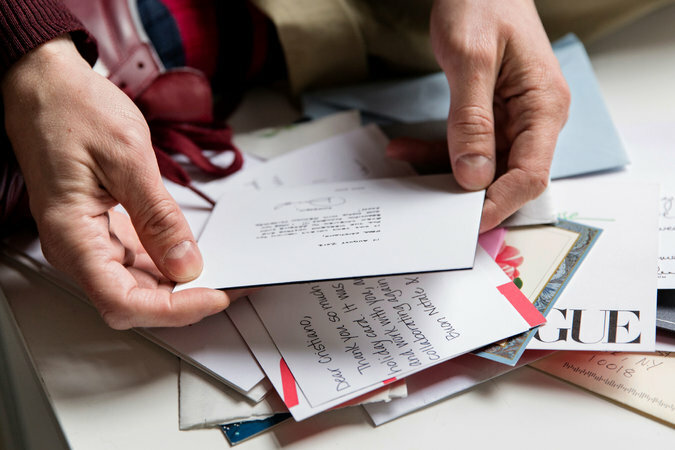 Writing letters and thank-you notes has never left my universe. I feel a bit fortunate for my age. It was only toward the end of college in ’94-95 when the internet began to take form (we all felt so giddy emailing each other across the room in the computer lab at UW-Madison). I was still writing my parents from travels abroad and keeping up with college friends via long handwritten letters soon after graduation. 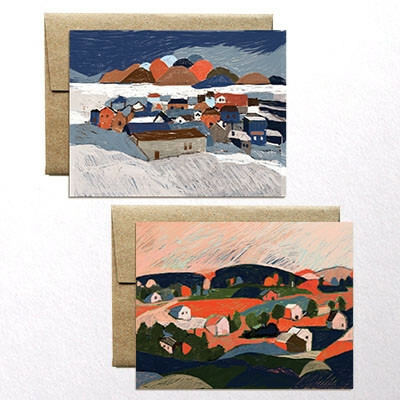 When I could afford it, personalized stationery came back into my life later on in my 20’s (mom spoiled us with monogramed stationery as kids) and my love of paper goods continued to gain speed. Even today, the only drawer I try desperately to keep my 1-year-old daughter out of would be my stationery drawer. At a market last weekend, I was pleasantly surprised to see how many more young adults were purchasing Brown Ink Paper Goods. These folks also seemed the most enthused about the variety of products. It gave me hope. 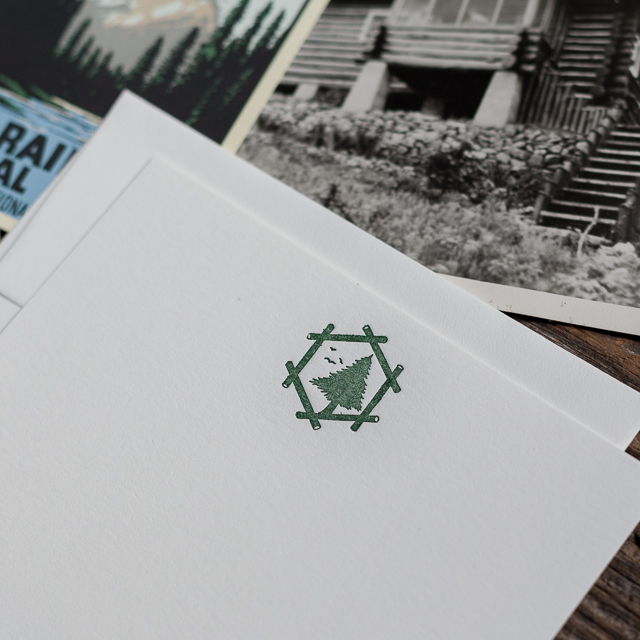 The Millennials might be shooting off a fancy, graphic designed picture sharing their gratitude for a memorable party, but if sources are correct, they also are following up with the thoughtful correspondence via snail mail. We are beginning to see some light here in the Twin Cities. The sun actually showed its face for an hour today. It is time to remove ourselves from under the covers and check out all that is local!! 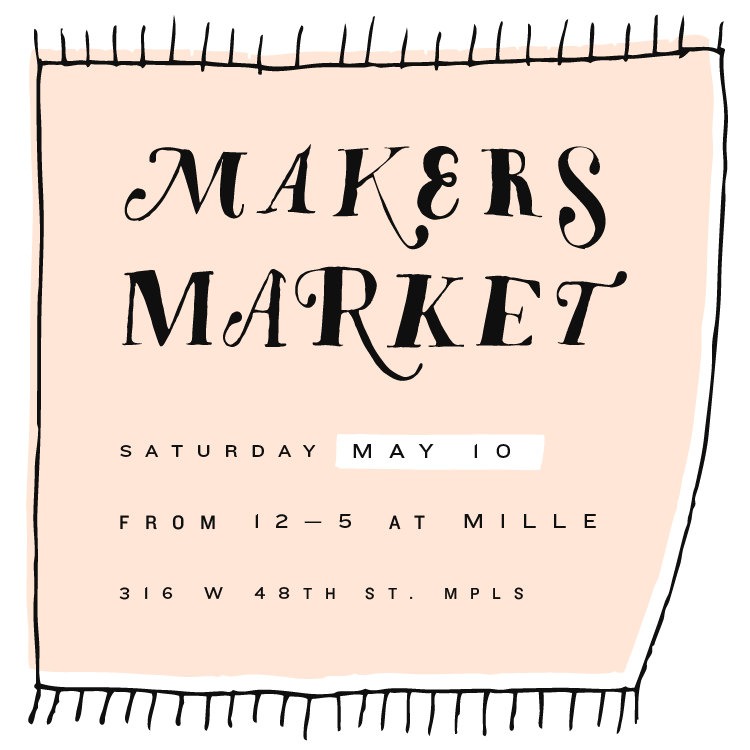 Of course, we are thrilled to be a part of the Makers Market at the lovely Mille in South Minneapolis once again, next Saturday, May 10th from 12 – 5. This time we have something special for you at Makers Market. 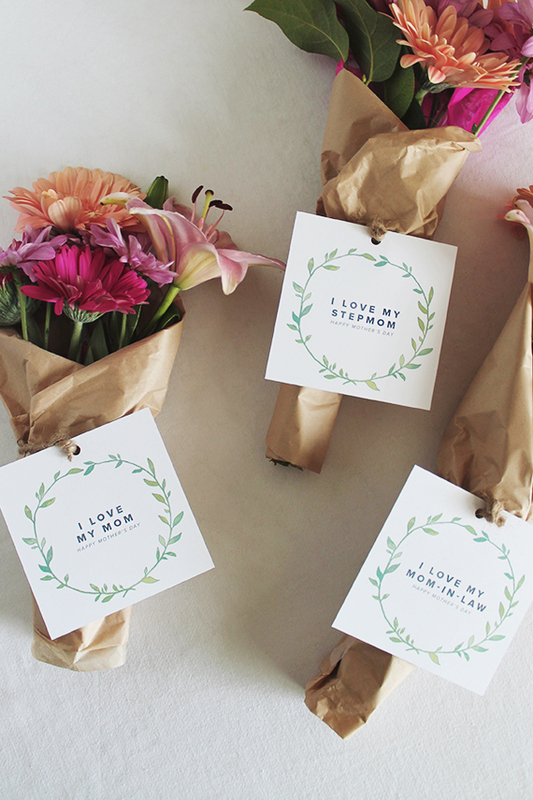 Brown Ink has teamed up with one of our favorite flower designers, limoni limoni, a flower business created by Mahsa Hansen, to provide a perfect and thoughtful gift just in time for Mother’s Day. 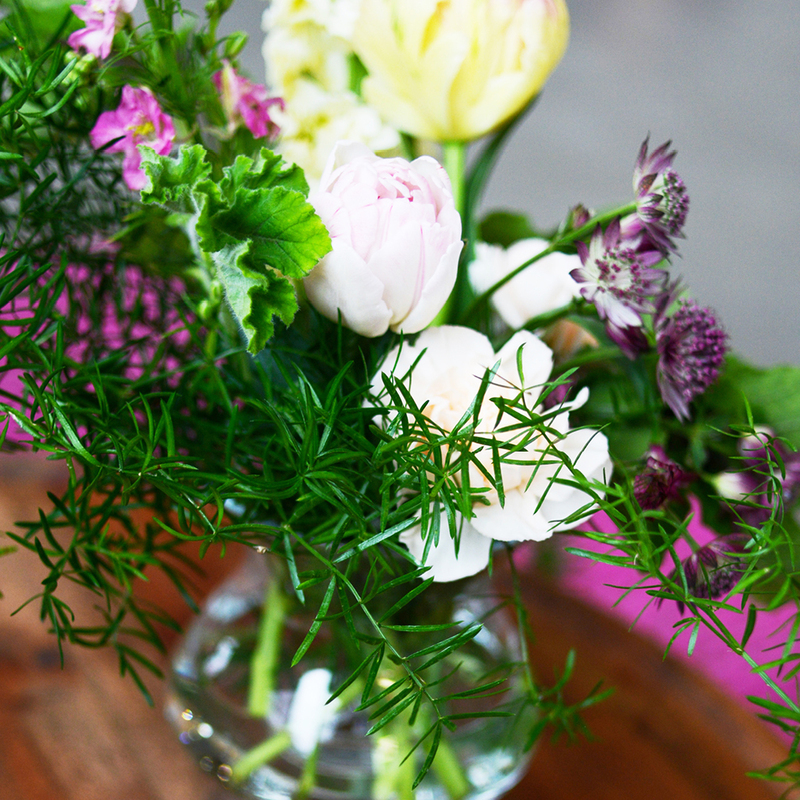 Trained as a graphic designer and with experience at some of the best firms in town, Mahsa’s unique vision of color and design is apparent in all of her bouquets. It’s a dream to combine our designs! 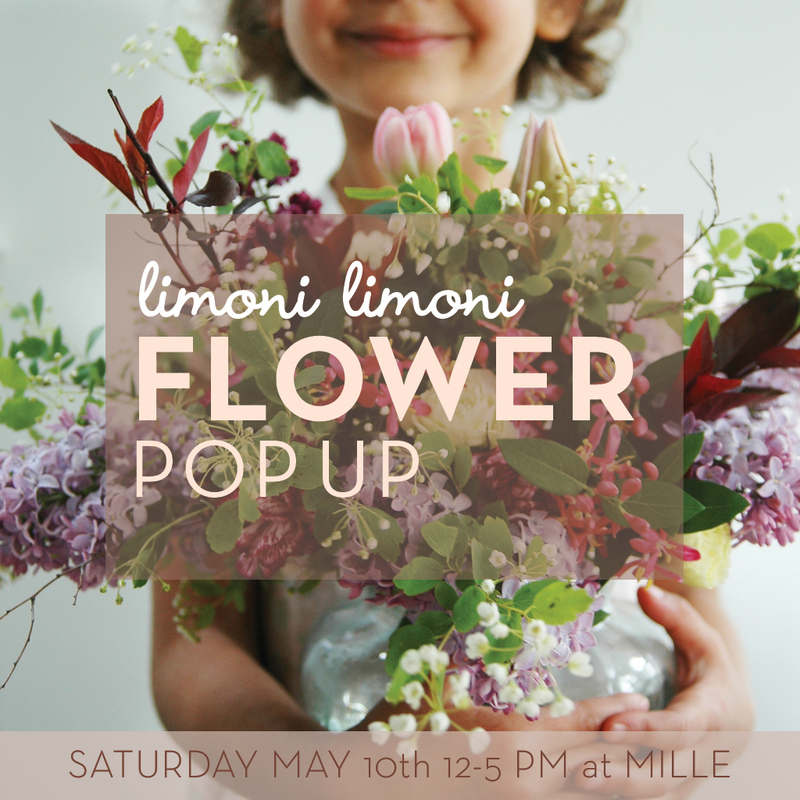 limoni limoni is offering two sizes of bouquets: a Coffee table size Hand Tied Bouquet for $55 and a dramatic mix Hand Tied Bouquet for $85, both pick-up arrangements. 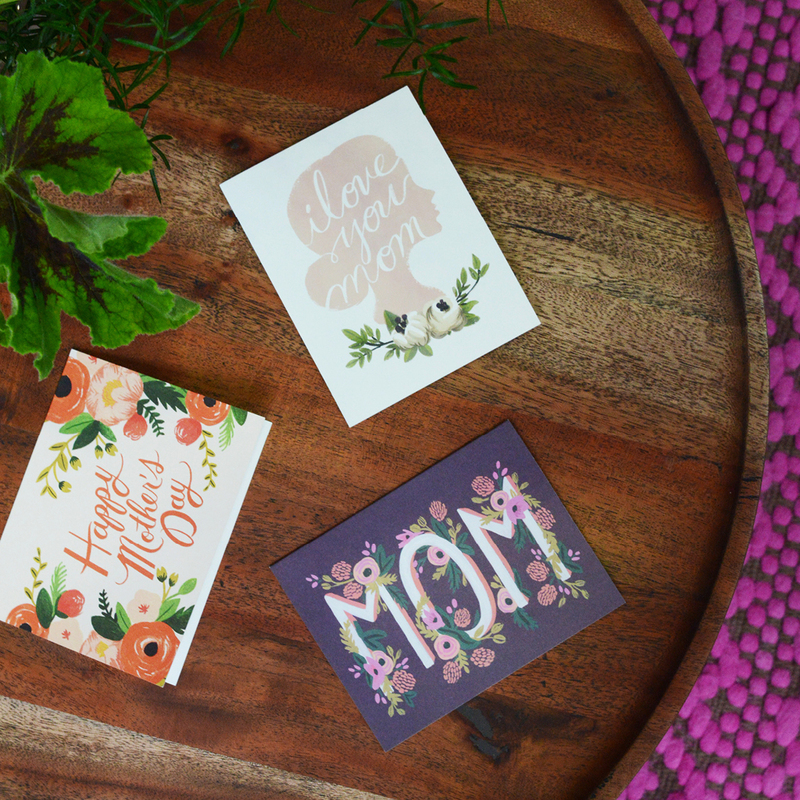 The first 10 preorders will receive a bonus gift of a Brown Ink Mother’s Day card..
To order, email Mahsa at limonilimoni@me.com before May 8th and pick up your bouquets at Mille during the market. Your wife or mum will be beaming and touched, no doubt! Just a reminder, make sure to visit us at the HAMMS Event tomorrow with loads of Minnesota Makers, food, beer and more, (four legged friends welcomed). As well as the Room No. 3 Lovin’ Local event next Wednesday evening.